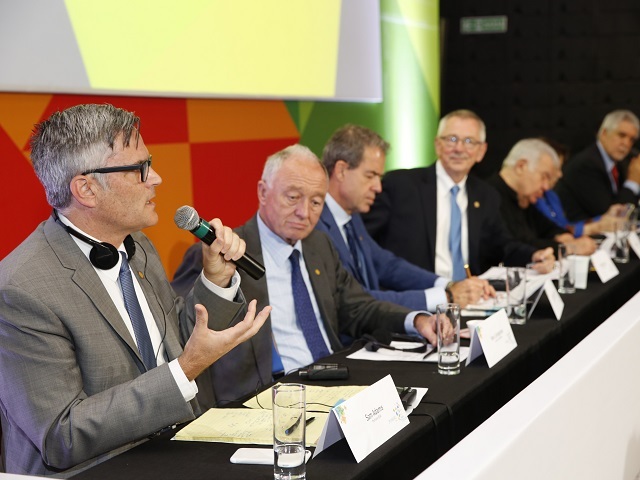 With these words, Andrew Steer, President and CEO of World Resources Institute (WRI), kicked off the Mayors’ Summit today in Rio de Janeiro, Brazil. Bringing together city leaders from around the world, the Summit challenged mayors to demonstrate bold leadership on climate action and to approach climate change as an opportunity for creating cities that are both environmentally sustainable and socially equitable. Former mayors Ken Livingstone (London), Enrique Peñalosa (Bogota), Mary Jane Ortega (San Fernando), Sam Adams (Portland), and Jaime Lerner (Curitiba) joined one another on stage and together showed how acting on a strong vision is critical for ensuring that cities work for people. Tackling climate change in cities is just as much about equity as it is about sustainability, and local action can achieve both simultaneously. As Sam Adams noted in his opening remarks, “In the US as a whole, and Portland, [we’re] still too separated between the well-off and the not so well-off.” Echoing the words of Adams, nearly all of the mayors warned that urban development has often been inequitable in the past, and stressed the importance of approaching the two simultaneously through local leadership. Beyond basic public services, at the core of equity lies access to mobility. In short, ensuring that citizens can travel reliably, safely, and efficiently dramatically boosts quality of life. A pioneer of sustainable mobility, Enrique Peñalosa described public transport as an “equity issue,” noting that the bus rapid transit (BRT) system and walkable streets in Bogotá has allowed people with disabilities to access some public spaces for the first time. In this way, sustainability and equity work together, as public transport improves equity while simultaneously reducing emissions and local pollution. Finally, to boost quality of life of citizens, the former mayors agreed that cities should prioritize people over cars. The city leaders explained that private vehicles are only affordable to select groups, pollute local air, and result in extreme traffic congestion. Indeed, new roads almost always fail to accommodate the mobility needs of residents in the long run: “You can increase road capacity as much as you like, but it’s going to fill up,” Livingstone said. However, cities need strong mayoral leadership to turn ideas into local action. And, given the opposition that mayors can face from private interests and those benefitting from the status quo, pioneering sustainable solutions can be a challenging task. Despite their calls for bold action, the mayors recognized that strong leadership won’t always make city leaders popular in the short term. Explaining how he helped transform Portland, Sam Adams recalled, “At first, I was unpopular because I was changing habits. But I overcame this by sticking to a strategic plan, identifying metrics, and making decisions incrementally”. As Adams’ story demonstrates, if leaders show that sustainable policies and programs work, people will recognize that sustainable development is not only good for the climate, but the economy too. 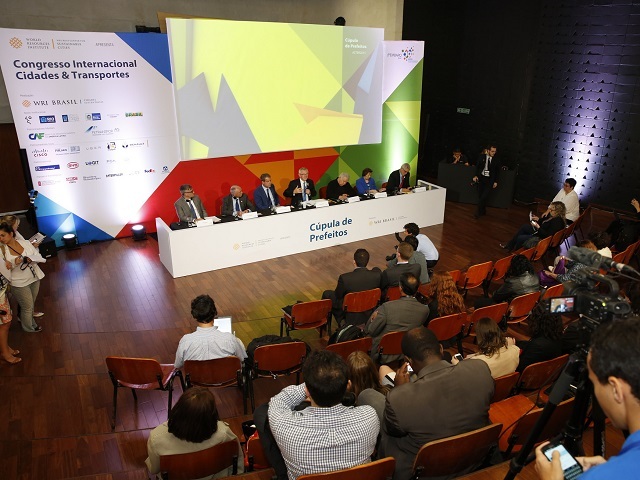 “It’s important to have metrics so that we can demonstrate that these things work,” said Eduardo Paes, the current mayor of Rio and Chair of C40 Cities. For recaps of the Cities and Transport International Congress on September 10-11, 2015, click here: (Day 1) (Day 2).